Hope you all had a wonderful holiday season. I managed to get a bit of rest but the holidays took a lot out of me energy wise and as a result I didn’t get as much done as I would have liked. I wanted to get more than a cover up for you guys today, but I figured I should save what little buffer I have so I don’t miss updates. 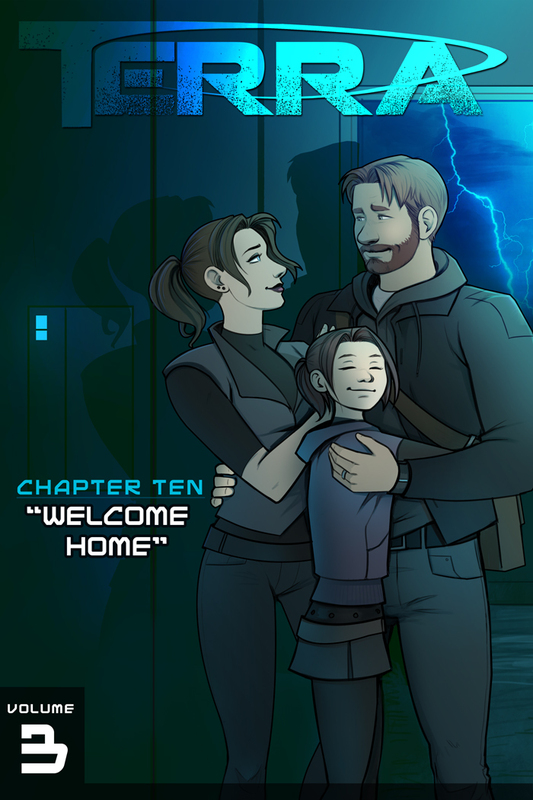 Also, I should note that I changed the formatting of the covers to show the volume number in addition to the chapter, the page resolution is also slightly smaller (700px vs 725) to allow for more breathing room on the right side of the comic. 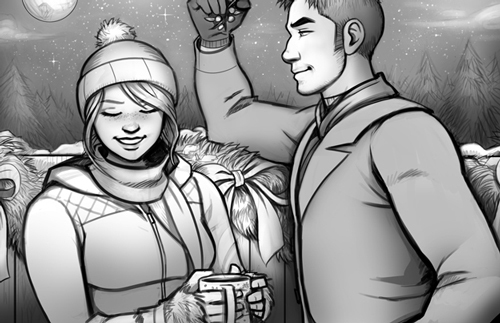 There’s a new vote incentive for Top Web Comics, it’s the first panel of next week’s page! (I may add a few details before it goes up next Weds but it’s pretty much finished). Yay! New chapter of Terra for a new year. Looking forward to both. Firstly, allow me to say, Welcome Back and Happy 2017. And secondly, yay, a new chapter begins! Hopefully things don’t go back for the crew when they go to rescue Rick’s family. Christmas was pretty fun. I mean, Rogue One was VERY awesome. That goes without saying, really. Anyway, I’m rambling, so I’ll see you guys next week! May 2017 be kinder to you than 2016. Still haven’t seen Rogue One but I hear very good things! Hopefully Drew and I can catch it before it leaves theatres.